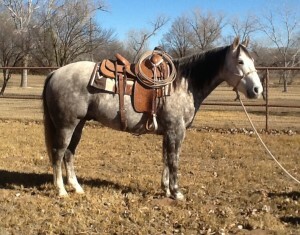 This attractive gray gelding that we call “Ransom” stands at 15 hands and weighs 1225 lbs. He has been Bob’s number 1 mount for the past six years. 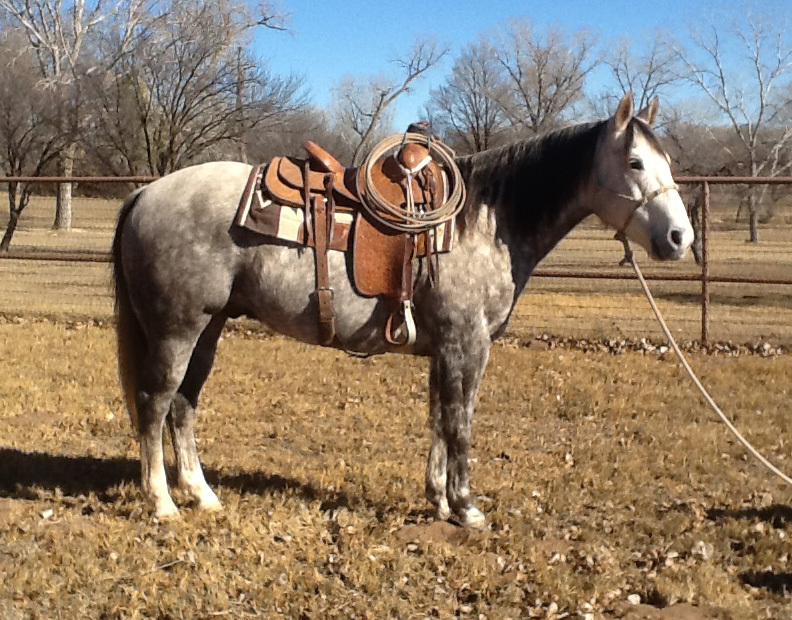 Extremely cowy, really easy to rope on, easy to shoe and travels the best.